Just last year, Amazon’s valuation exceeded that of Walmart, showing the extent of the disruption that has occurred in the retail sector. However, the changes brought about by the emergence of ecommerce have not been without some challenges. Amazon recently filed a series of lawsuits against alleged providers of paid reviews in an attempt to clean up the considerable amount of misleading or “inauthentic” reviews. The abundance of these paid review services underscores how important having enough positive reviews is to an ecommerce product’s success. The number and quality of reviews factors heavily into Amazon’s product search page rankings, and a product without these reviews can get stuck in the back pages with no organic visibility. Clearly, it is in the best interest of Amazon sellers to do everything they can to secure enough reviews so that their products can be seen and bought. However, with Amazon’s recent crackdown on paid or illegitimately obtained reviews, sellers have to be careful about what the methods they use to move their products up in the rankings. 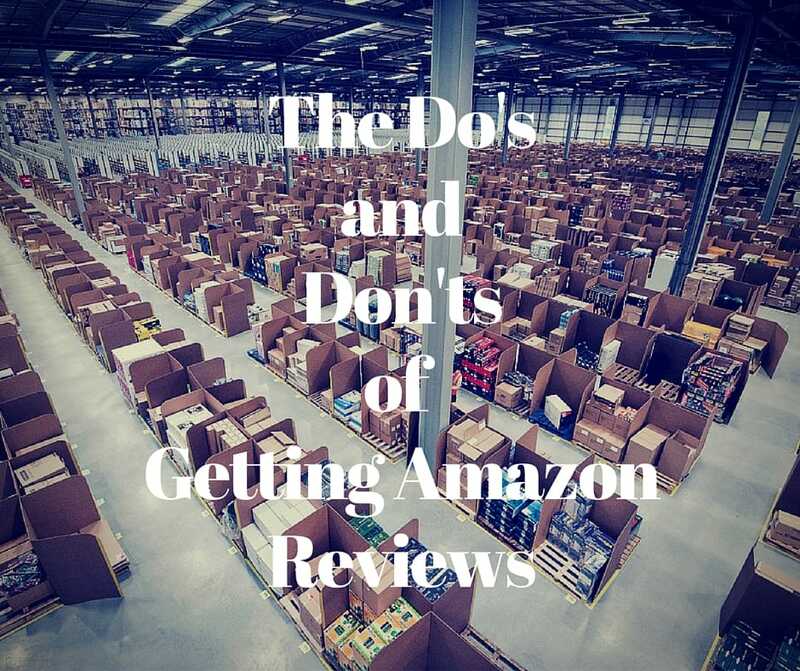 To help our readers navigate Amazon’s strict guidelines, MWI presents the do’s and don’ts of getting Amazon reviews. These online groups often present themselves as operating within Amazon’s rules, but a recent wave of review club member bans proves otherwise. These groups will entice potential reviewers with the opportunity to win free or heavily discounted products in exchange for a review, with more and better products going to members who give the most positive and the highest number of reviews. Amazon sees this kind of behavior as attempting to manipulate product rankings. Don’t be tempted to bring your product to these sites, or you may find most of your reviews have disappeared after another Amazon crackdown. In addition to product review clubs, also be wary of any sites that offer to set up any author review trades. These kinds of “quid pro quo” arrangements are against Amazon’s review guidelines and getting caught will result in the deletion of any reviews you obtained through this method. We do not permit reviews or votes on the helpfulness of reviews that are posted in exchange for compensation of any kind, including payment (whether in the form of money or gift certificates), bonus content, entry to a contest or sweepstakes, discounts on future purchases, extra product, or other gifts. Another kind of reviews that are against Amazon’s guidelines are those posted by family members or friends of the seller. Amazon’s goal in allowing customers to post reviews is to “help future shoppers make the right buying decisions.” Biased reviews are ultimately more helpful to the seller than they are to the buyer, and reviews posted by family and friends have questionable objectivity. Where this guideline gets tricky is in how you define a “friend.” Amazon doesn’t elaborate on how they determine what level of friendship will disqualify you from writing a review, but according to some users, even being a casual acquaintance of a seller or author can be a substantial enough reason for disqualification. Some reviewers have reported that simply following an author on social media is enough to get your review deleted. If you offer a free or discounted product in exchange for a review, you must clearly state that you welcome both positive and negative feedback. If you receive a free or discounted product in exchange for your review, you must clearly and conspicuously disclose that fact. Another good strategy for increasing your reviews is to send out post purchase follow-up emails to buyers. Many customers are happy to leave a review for a product they liked, but when life gets busy, writing a paragraph about how durable and easy to clean a spatula is may not be at the top of their priorities. A short and simple message sent through Amazon’s Buyer Seller Messaging service can remind them of their purchase and ask them to give an honest review. This kind of communication will convince a portion of your customers to leave a review, but be careful not to spam them; excessive messaging can end up doing more harm than good. Although the recent crackdowns have thinned the ranks of high level reviewers, there are still many who are willing to give an honest review in exchange for a free product. You can find their contact information at this link. When contacting top reviewers, make sure that you send a personalized message. They receive many requests for reviews, so only contact reviewers that are interested in the kind of product that you want review. Take a look at the #1 reviewer. She has her interests listed in her profile. You can also see from her review history that she reviews mostly arts and crafts products. If you need reviews for your set of Star Trek shot glasses, you may want to find someone else on the top reviewers list.